Fun: riding a guided missile right into some unsuspecting goon’s face. Not fun: being the unsuspecting goon whose face eats said missile. 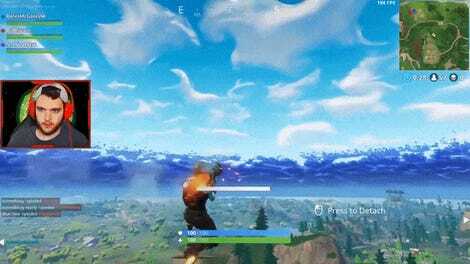 This simple and universal truth handily illustrates the problem with Fortnite’s guided missiles, which were yanked in April. Today, Epic announced that they’re finally coming back. 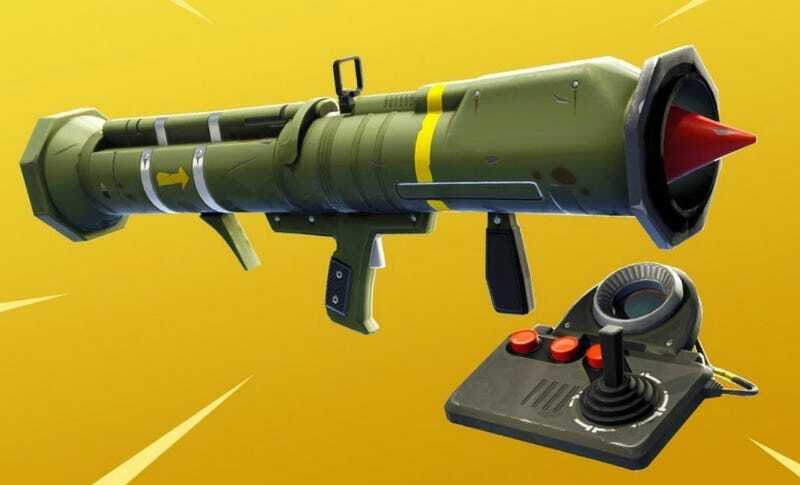 Guided missiles were equal parts beloved and reviled during their brief tenure in the game, but pretty much everybody agreed that they were too powerful, which was why Epic removed them from the game, citing “concerns over fairness and strength.” Epic’s new spin on the short-lived classic takes the emphasis off reckoning and puts it on recon. Movement speed, turning radius, damage, and damage radius are lower, and the ammo cap is now 12. So if all goes according to plan, the guided missile launcher won’t be an unstoppable storm of precision-firing death anymore. It will, however, definitely still be good for looking around without exposing yourself to other, more dangerous explosives—just hopefully not too good.